Looking for a budget smartphone? Here are the best that 2016 has to offer! 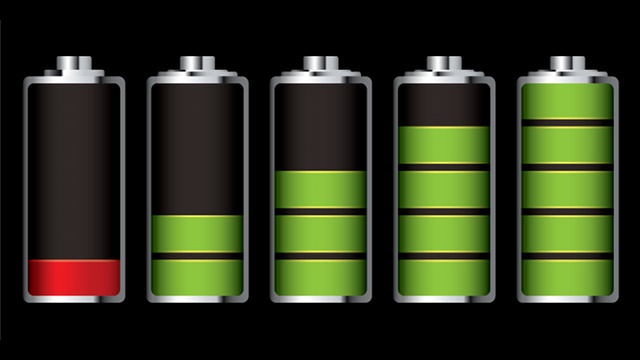 Battery life – which smartphone wins this all important battle? At JP Phones, we have our fingers on the pulse of everything to do with the world of mobile phones, smartphones, service providers, and contracts. It is our reason for running this website, to help to inform the public of the United Kingdom when it comes to any of the above-mentioned subjects. Lately, we have been receiving more and more requests about bad credit mobile phone contracts. Now to be brutally honest, this is not something that we were particularly clued up on. Yes, we had heard about them but we didn’t really know how they operate. Well until now that is! We have spent the last couple of months looking into this form of mobile contract, delving into how it works, what it offers and more importantly if it is worth it. What we found is that these contracts are the only option for people suffering from bad credit ratings. Bad credit ratings certainly have become a fact of life in the United Kingdom over the last couple of years. Financially, times are extremely tough and people default on credit payments often. This means these defaults reflect on their credit reports, slowing sinking them into a negative credit rating. When this happens, they cannot hope to get any form of credit product, mobile phone contracts included. And this is where bad credit mobile phone contracts have sprung up from. But how exactly does a bad credit mobile phone contract work? 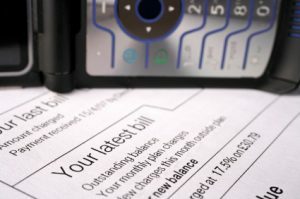 A bad credit mobile phone contract is specifically aimed at people who have a negative rating on their credit reports, have ccj’s against their name, who have been blacklisted and even people who may have been declared bankrupt at some point. That said, ordinary members of the public are certainly not stopped from obtaining bad credit mobile phones, but more on this a little later. Applying is simple. Find the provider you would like to apply for a contract with, fill in the application online or visit their offices, provide them with certain documents and within 24 hours, you could have your new bad credit mobile phone contract and your shiny new handset of your dreams. In terms of the documents you need to supply to the provider, these are your identity document, proof of address (they will accept a utility bill, a rental lease or mortgage statement), pay slips for the past three months (thus proving you are employed) as well as bank statements for three months for the account to which your salary is paid. This helps the provider determine the best contract for you based on your income and expenditure. Once they determine a price range that they can offer contracts to you in, you will be shown a number of contract options as well as the handsets that come with them. Of course, they will take note of your preferred handset (everyone has one right) and try to get an affordable contract option with that attached to it. Bear in mind however, you need to be able to make the financial payments each month, so this ultimately will have a bearing at the end of the day. You might want the latest Apple iPhone 7 but if you cannot afford it, best to choose something that you can. A bad credit mobile phone contract is usually taken out over twenty-four months. That said, should you choose a very cheap handset, you may well get a contract over a 12 month period. This is a great way to go about building up your credit rating. Take a few of these out over the period of 3 years, never miss a payment and your credit rating is sure to improve significantly, providing you don’t miss payments on other credit products. Alternatively, you may opt for a thirty-six-month contract option. This means you will pay the phone off for longer but it will bring down the monthly prices significantly. This could also be a way to try and get the slightly more expensive handset you have always wanted but not all providers will allow this. Note also that bad credit mobile phone contracts are generally a little more expensive than regular phone contracts. What handsets are actually available? In terms of handsets, most people would think that contracts such as these would have terrible handsets attached to them, for example, older phones from years ago. Nothing is further from the truth. In fact, if you can afford it, you could get an Apple iPhone 7 or Samsung Galaxy S7. That said, at JP Phones we would recommend that you rather choose a phone that will do the job for you, while not costing too much. Often people just want the latest Apple or iPhone product just because of the prestige attached to it. That should never be a reason when deciding on a phone. Many bad credit mobile phone contracts offer slightly older, refurbished smartphones, for example, the Apple iPhone 6 or the Samsung Galaxy S6. These are a great option if you simply must have an Apple or a Samsung product. We suggest however, that you rather go for one of the budget smartphones on offer. These phones continue to impress us each year and frankly, can do everything a top of the range smartphone can. Don’t let the term budget put you off either. There is practically nothing these phones cannot do! Other than people struggling financially, who else can apply for these phone contracts? Certainly, these contracts came into being as there was a need for them. People with bad credit ratings needed a way to secure a mobile phone contract on credit and because major service providers kept turning them down, bad credit mobile phones were born. That said, anyone can apply for them. They are not only a great way for people to turn their credit score from a negative to a positive but can be used to build a credit history as well. This will appeal to people leaving university and entering the job market. Often, when they look for a credit product they are turned down as they have no credit history to speak of. Taking out a bad credit mobile phone and completing the contract over twenty months is the perfect way to start building a positive credit history. Once started, it is far easier to then get a mainstream credit product. No credit mobile phones are here to stay, that is for sure. They provide an excellent outlet for people with bad credit ratings to own a mobile phone on contract even though they may be a little more expensive than a regular contract. Now if you are operating on a limited budget, certainly flagship smartphones such as the Apple iPhone 7 and the Samsung Galaxy S7 are out of your reach. Don’t despair, there are a range of budget smartphones on the market that are more than capable of performing the tasks you require of your handset. Thanks to the fact that technology is becoming more and more accessible and more companies are moving into the mobile field, these phones are available at extremely competitive prices. Let’s take a look at some models that our experts at JP Phones feel are more than worthwhile. This is an excellent little budget smartphone. It comes with some more processing power than its predecessor in the form of an octa-core Snapdragon 617 processor. This is the best processor to be found in budget smartphones at present, so if speed is a factor, then this phone is for you. It has a 5.5-inch screen with a decent resolution of 1920×1080. There are two options storage wise, the 16 gig and the 32 gig while a 13-megapixel camera is perfect for all those holiday snaps! It weighs 155g and costs just £169. This is an excellent option if you are looking for a phone on a ‘pay-as-you-go’ contract. It is perhaps the perfect option as a first smartphone for teenagers. It features a quad-core 1.3 Ghz Qualcomm Snapdragon 210 processor, which while not the best, certainly does a good job for an entry level smartphone. It comes with a 5-inch screen offering a resolution of 1280×720. Again, this is not the best on the market but at a price of £75, you cannot argue too much! One drawback is that it only comes with 8 gigs of storage but does allow for a micro SD card, so this can be bumped up to 128 gigs if need be. Finally, this 128g phone has an 8-megapixel camera, perfect for those student selfies! The second generation of this popular phone is a great compact option. It features a quad-core 1.2 GHz Qualcomm Snapdragon 410 processor which offers decent performance. With a relatively smalls screen size, just 4.5 inches as well as a fairly low resolution (960×540) the Moto E is a little let down in this regard, especially if you want to watch movies or stream videos. It does offer excellent battery life, however. Storage is a little low at 8 gigs but you should be able to fit on a fair amount of music or movies. It weighs 145g and costs £73. This is the perfect smartphone for a housewife or a retired person in our book. Samsung are not really known for their budget handsets but the J5 has certainly become an exception. With a quad-core 1.4GHz Qualcomm Snapdragon 410 processor, the J5 is fairly quick while a 5 inch, 1280×720 AMOLED display delivers excellent quality despite a lower resolution than other budget handsets. The phone offers 8 gigs of storage which is a little bit disappointing. 16 gigs would have been a far better match for the other specs found on the phone. Finally, this £150 handset has a 13-megapixel camera and weighs in at 146g. For those wanting a Windows based phone, look no further than the Lumia. It is powered by a Quad-core 1.2GHz Snapdragon 400 processor and has 8 gigs of storage. It offers a 5-inch screen with 1280×720 resolution. But it is its big, bold and funky design as well as a range of colours that make it a real fashion statement. Storage-wise you will only have 8 gigs and the camera comes in at 8 megapixels. Not the greatest but certainly capable of doing a decent job on photographs. It weighs 145g and will set you back £100. 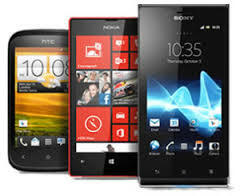 In this article, we have just touched on a range of budget smartphones available to the public of the United Kingdom. There are many models out there and no doubt, you will be able to find one to not only suit your needs but your budget as well. Without a doubt, and heavy mobile phone users will attest to this, nothing is more infuriating than having to search for a charging point for your phone in the middle of the afternoon after it just sat at 100% charge in the morning. Smartphones are incredible pieces of technology but as of yet, their manufacturers still cannot give us a battery that will match their overall abilities. Remember the old Nokia 3310? That phone would last up to FIVE days on one charge! Granted, it could only send texts, make phone calls and play Snake but mobile phone users still value a decent battery life as an important selling point for a phone. Let’s be honest though. Smartphones today simply do so much for us. From social networking, emailing, texting, instant messages, surfing the internet, apps for just about anything and of course, playing games, it is no wonder that the battery life on a smartphone doesn’t last for a day in most cases. That said, some phones do perform far better than others and for that reason, we at JP Phones decided to run a test to see which of the top smartphones on the market perform the best. We tested a range of smartphones, excluding the recently release Apple iPhone 7 which we will add to this test result later in the year. Now testing a battery needs a fairly involved effort that is universal across all the handsets that are tested. To do this, we looped a music video to run for 36 hours (not that we believed a phone could get there but it is better to be prepared). We then ran that video on each and every phone with the sound output coming from a pair of headphones. We then recorded and timed the sound coming out of the headphones and when it died, we knew the battery was all used up in each particular handset. Each phone was put into its relevant airplane mode while we kept them all set to the same brightness level. We also turned off any automatic sleep settings. In each case, we used the default player on each phone to play the video. Why do we put the phones into airplane mode? Well, that turns off all unnecessary background systems including Wi-Fi. If we left Wi-Fi on, each phone would hunt for Wi-Fi signals as they become weaker or get stronger and so use up battery life. As each phone does this differently, Wi-Fi needs to be turned off. Also, we did not run these test just once. Each phone was tested three times with the average of the battery life recorded below. Well from our results, smartphones from Samsung are the clear winners in terms of battery life. Let’s take a look. As you can see, there is a massive difference between phones and battery life can certainly be an important factor when choosing your smartphone. For example, you might be a sales rep and on the road all day. You would certainly need a phone that can last for a 12-hour stretch. When you do buy a new smartphone, or upgrade on your existing contract, there are a few things that you can do to ensure that you pick a phone with a decent battery (if this is one of your primary requisites when choosing a phone). The most important thing to look at is the overall capacity of the battery. This is measured as the mAh rating. So if you have two phones you like and you would prefer the one with the better battery, then choose the one with the higher mAh rating. In other words, the more the mAh rating of the phone the more battery life it should have. There are other factors at play here however, and they do need to be considered. These include the brightness of your screen as well as its resolution and how much battery power the operating system of the phone uses when it is idle. But generally, if you are worried about battery power, choose the phone with the higher mAh rating.